Rod began his career in the concrete industry in 1970, driving a 6cy chain-drive mixer. He learned the business from the ground up, pouring concrete foundations, managing crushing operations, even manufacturing concrete plants. Rod built Auburn Concrete on the foundations of honesty, customer service and an Owner-in-Store philosophy. With his “never say no” mantra and “can-do” attitude, you’re just as likely to find Rod driving a mixer or running a front-end loader as you are sitting behind a desk. Joel began his career driving mixers with his father over 25 years ago while still in high school. He knew from a very young age that he wanted to follow in his father’s footsteps and he was made to work his way up starting out as a “rock picker” on the crushing operation. Those lessons have served him well as he knows every facet of the business and uses that knowledge today to oversee the day-to-day operations of Auburn Concrete, including inventory management for all six locations and managing facility and equipment maintenance. Like his father, Joel is very hands on and can be found jumping in wherever he’s needed. Joel has held the NRMCA Concrete Technologist designation since 1992 along with ACI Level #1 Field and MCTCB Plant certifications. Lori Gile manages the financial end of Auburn Concrete. After obtaining a B.S. in Business Administration from the University of Maine, Lori worked in public accounting for a few years. After a heart-to-heart with her father about her career options Lori joined him in 1998 and became a key contributor in developing the first of Auburn Concrete’s six concrete plants taking a particular interest in the plant automation systems and back office responsibilities. Lori holds the MCTCB Plant Technician certification but takes the most pride in working alongside her father and brother and like them will jump in wherever there’s a need … although we’ve yet to see her in a mixer. Stay tuned! When it comes to respect and experience in the industry … there is no equal. Remi has overseen aspects of concrete production and delivery for more than 2 million cubic yards of concrete. He began his career in the concrete industry nearly 30 years ago driving and dispatching before moving into the Customer Service and Quality Control arenas in the early 1990s. He joined Auburn Concrete in October of 2005 and has worked alongside Rod, Joel and Lori in managing the largest concrete producer in the state. He has built a team of customer service representatives and quality control specialists to help him oversee the growing operations. Remi has held the NRMCA Concrete Technologist designation since 1988, ACI Level #1 Field and MCTCB Plant certifications and has been involved with numerous committees with ABC and AGC throughout his career. Michelle joined Auburn Concrete in June 2014. However, she joined the family over 20 years earlier when she and Joel married in 1991. Michelle worked in an accounting firm in Old Town and when the family moved to Auburn she continued on the same path for a different firm. It wasn’t until a job opening came up in the spring of 2014 that she expressed an interest in joining the family business. She professionally and skillfully handles the duties of the Human Resource Manager while chipping in wherever possible on other projects. After graduating from the University of Maine with a degree in Resource Economics, Dana began his career in the concrete industry as a dispatcher in 1981. Since that time he has performed numerous tasks on projects throughout Maine’s major concrete markets. Dana joined Auburn Concrete in April of 2010 to handle the sales and technical services of our central and mid coast accounts bringing with him nearly 30 years of experience, a renewed energy and customer-first focus. He holds ACI Level #1 Field and MCTCB Plant certifications and while he’s recognized in the industry for his vast knowledge, our customers, vendors and employees recognize Dana by his friendly smile. Waring began his career in the concrete industry as a concrete pump operator. He took on additional roles in sales and dispatch before joining Auburn Concrete in April of 2011. With nearly 20 years of on-the-job training Waring now handles all sales and customer service for the Westbrook operations. His “can do” attitude and strong work ethic make him a perfect fit at Auburn Concrete. Waring also possesses the ability to identify and resolve issues/problems on his own which might well come from his time on the water as a captain/owner of an urchin boat. Waring holds the ACI Level #1 Field and MCTCB Plant certifications. Carl joined Auburn Concrete in May of 2013 and has put his 35 years of concrete, aggregates and construction experience (serving Colorado and Alaska before returning to Maine in 1988) in the industry to good use. He helps to oversee the operations of the West Bath plant and has been paramount in renovating Auburn Concrete’s newest facility in Topsham all the while handling sales and quality control for the mid coast region. Carl holds the ACI Level #1 Field and MCTCB Plant certifications along with the NETTCP QA Technologist designation. Sam Roy first got his feet wet in the concrete industry riding shotgun in a concrete mixer on Saturdays. We all remember well the day that he took his CDL exam in old #71. Sam worked summers through college driving a concrete mixer. He earned a degree in Forestry from the University of Maine in 2004. After a short interval in the forestry business Sam rejoined Auburn Concrete. Sam has done it all for Auburn Concrete since returning but has developed particular expertise in the quality control division. Sam has earned the NRMCA Concrete Technologist, ACI Level #1 Field and MCTCB Plant certifications. Justin brings an easy-going personality along with numerous skills and certifications to the Auburn Concrete team. After completing studies in Architectural and Civil Engineering in 2009, Justin was employed as an Engineering Technician by two highly regarded engineering and material testing firms in the region. Many contractors and owners will recognize Justin from his previous assignments. His role is to provide technical support and services to Auburn Concrete’s customers and their projects in the southern Maine region. He maintains certifications through ACI and NETTCP. For nearly 30 years Rick has been a part of the concrete industry working tirelessly on plants, trucks and drivers. He has driven mixer and dispatched concrete all over southern and central Maine. Rick joined Auburn Concrete in January of 2007 and with his knowledge of the area he expertly dispatches Topsham, West Bath (remotely) and Damariscotta (remotely) locations for Auburn Concrete while also helping Joel with the day-to-day logistics of equipment and inventory handling. Rick holds the MCTCB Plant Technician certification. For a decade Randy has successfully led the Westbrook location with a “never-say-no” attitude. He always finds a way to get the job done for our customers. Randy is a self-taught dispatcher, bringing his ingenuity and hard work ethic to the table. Randy is a huge part of the success of Auburn Concrete’s southern-most operation handling the dispatching of two concrete plants and managing a full staff all on his own. Randy holds the ACI Level #1 Field and MCTCB Plant certifications. Randy joined Auburn Concrete in July of 2011 where his first order of business was to assist in building the Augusta plant. Randy has vast knowledge and background in the crushing industry also made him a perfect choice to oversee the immense site preparation required at the Augusta site. Randy began producing concrete out of the Augusta plant in late August of 2011 and has made it the most productive plant in the company. Randy has such a positive attitude and his willingness to go the extra mile for his customers, co-workers and employers. 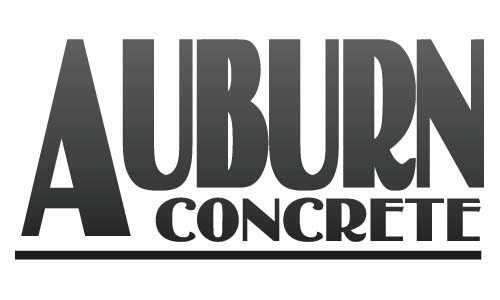 Maybe a new face to Auburn Concrete but not to the region. “Mike Cote is the name, concrete dispatch is the game,” said Operations Manager, Joel Cummings. Mike comes to Auburn Concrete by way of the Redi-Mix Companies located in southern Maine and northern New Hampshire where he dispatched primarily from Manchester, NH for six plants and 60 trucks. His prior experience includes dispatching concrete, driver training, and product knowledge in markets of similar size and complexity to the Westbrook location. He will be taking over the role of Plant Manager of the Westbrook plant. Jammie joined Auburn Concrete in June of 2013. She is what many have referred to as the “sweetest voice in concrete” and we are so thankful to have her on our team. In addition to reception duties she also handles numerous bookkeeping tasks.